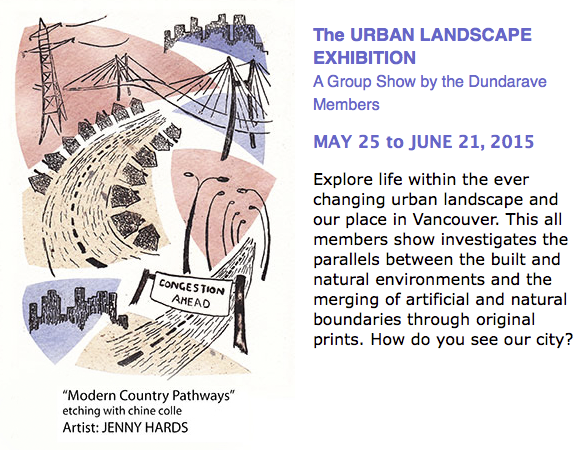 Please drop by to see gorgeous prints by Dundarave artists. Framed images are hung throughout the gallery with new work being added as prints sell. Unframed works are available, and we can ship anywhere. We offer gift certificates for artwork or classes. Dundarave Open Studio is available to former students in our classes. The cost is $35 per session, and participants bring their own supplies. There will be a Dundarave member in the studio to answer any questions. This would be a great opportunity to create some cards or personal gifts. In the month of December, we are open Monday – Sunday, 11 am – 5 pm. 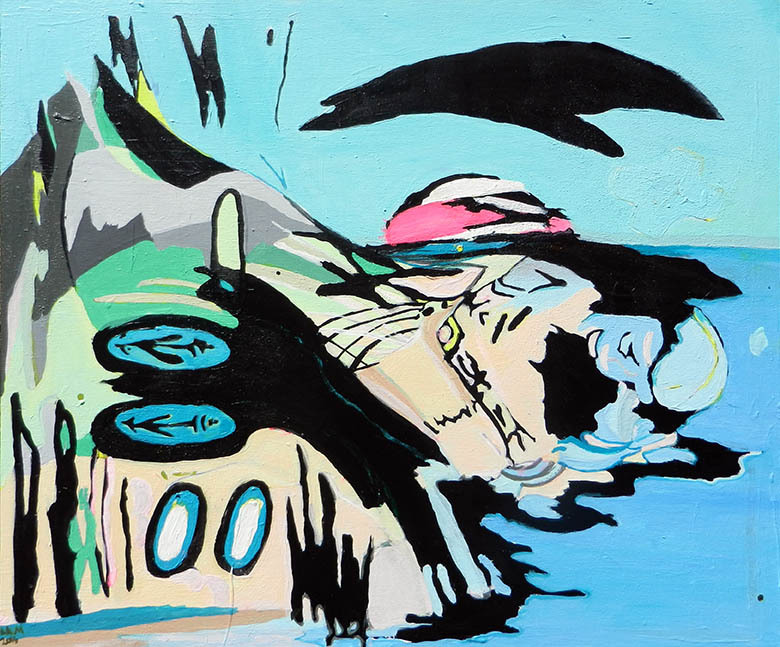 In this body of work, Dundarave artists explore the juxtaposition of the natural environment and evidence of human activities. Our winter show is up! Please drop by to see a wide variety of original hand-pulled prints. For the month of December we are open 7 days /week from 11 am to 5 pm. “A Furious Hunger” exhibits new works by Barb Snyder and Daylen Luchsinger at Dundarave Print Workshop, 1640 Johnston Street on Granville Island. The show runs from November 4th – November 29th, with an opening reception Friday November 13th from 7:00 – 9:00 p.m. 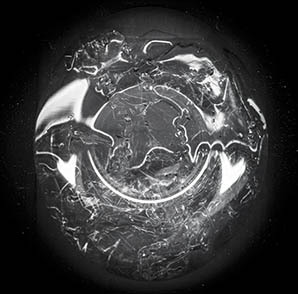 In this body of work both artists explore the social and ecological relationships between our growing society and the global environment. Found images, excepts from texts and conversations, and found physical objects have been collected and collaged in assemblages that investigate these complex relationships. The Group Summer show is up! 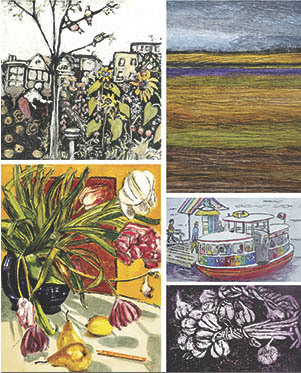 June 22 – September 7 Throughout the summer the printmakers of Dundarave Print Workshop will be exhibiting new and small format original prints. We invite you to stop in to see this diverse range of work including etchings, monotypes, relief prints, collagraphs and more. As pieces are sold, new works go up to create an ever-changing exhibition. a 2-day Collagraph Printmaking Workshop July 11 & 12, 2015. Globelore (global folklore) is an exhibition of new work that retells fairy tales, myths and folklore through time and space. Blurring the line between fact and fiction, Globelore combines historic regional research with fictional interpretations of metamodern storytelling. Breaking down the psychological necessity of storytelling reveals the love/hate relationship people have with popular culture. Not just for children, tales of magic and spiritualism become insights into human nature. 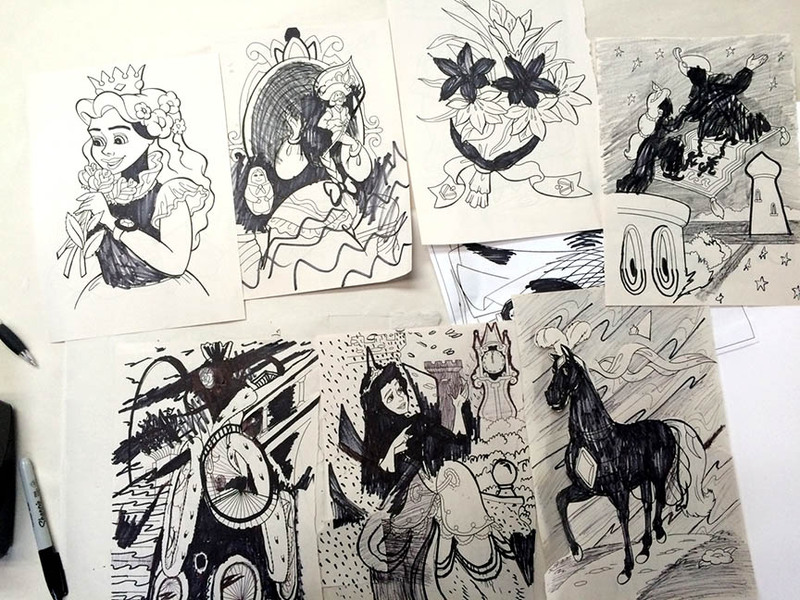 Using the processes of intaglio, relief and painting, Globelore invites you to relive your youth and critically consider the fairytale you currently inhabit, within the larger context of stories from all over the globe.